Favorite roleplaying club: A two-handed mace. Ha ha, just a joke on “club.” We don’t have clubs like you guys do. Juegos y Dados – Welcome Greg, thank you so much for your collaboration. It is an enormous pleasure that you are here with us. Greg – Thanks to you as well. Juegos y Dados – First of all, what was the first role-playing game that you played? Greg – Original D&D. It was the only rpg that existed at the time. I played maybe four or five times. I enjoyed the social aspect but the game design left me cold. Greg – I played board games with my neighbor, Jan Pfeiffer. One day he brought D&D over and we played it a bit. 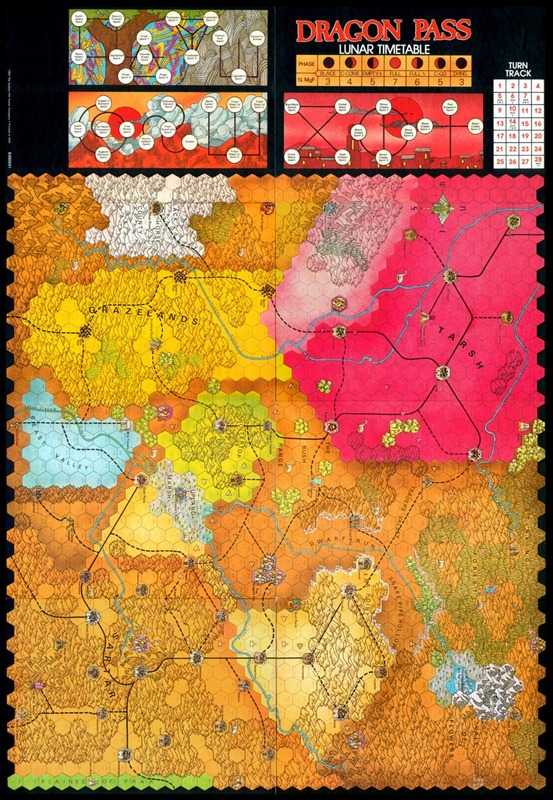 Juegos y Dados – I think that your first creation was a wargame set in Glorantha, doesn’t it? Greg – My first published game was White Bear & Red Moon, a board game set in Sartar, a little corner of Glorantha. Juegos y Dados – What was the first roleplaying game that you created? And why? Greg – I contributed to RuneQuest as a designer. I had become a fan of roleplaying games but was not happy with any I saw. The chance to create one along my own vision of fantasy was very appealing. Juegos y Dados – Why did you found you own company? Greg – One day I did a tarot card reading. They told me, “Go get a job, save your money for a year, then found your own company and check back in 7 years.” I did all that and voila, Chaosium! Juegos y Dados – You have some of the greatest roleplaying games. What do you think about so many people having a copy of RuneQuest and Pendragon in their homes? 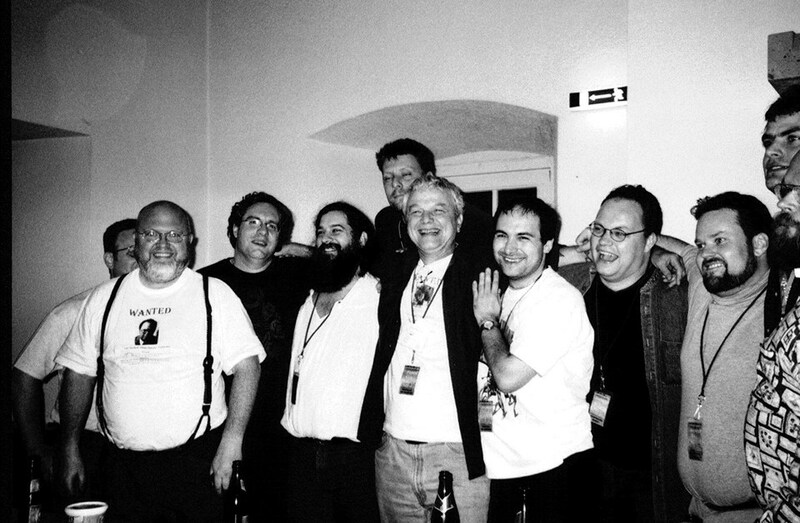 Greg – I am flattered and gratified to have brought so much pleasure to thousands of people worldwide. Greg – Oh, we all knew each other in the early days. There was only a dozen or so of us—the dealer’s room at conventions were held in classroom-sized spaces. When I was at the first game convention I attended I met Scott Bizarre of Fantasy Games Unlimited. I told him, “Quite a company here, with a publisher named bizarre and a writer named Symbolist.” Scott whipped out his drivers license to prove it, which I actually already knew. I was just making puns on their names. Scott later became my brother-in-law when he married the sister of my first wife. 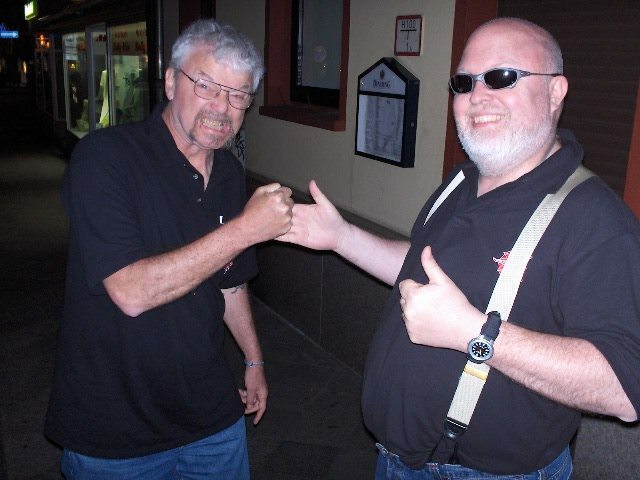 I remember that same convention were the two English game guys, Ian Livingston and Steve Jackson (as everyone used to say, “the English Steve Jackson”). They had been travelling the US and were staying in New York City while the convention was on Staten Island—a three-transfer bus ride. We let them sleep on our floor instead and we became great friends. Juegos y Dados – Have you ever been master of your RPGs? I would like knowing funny moments in role-playing stories. That is how intense the game was—no one remembered what had happened at their own elbows. I was pretty gratified to have offered such an otherworldly experience. 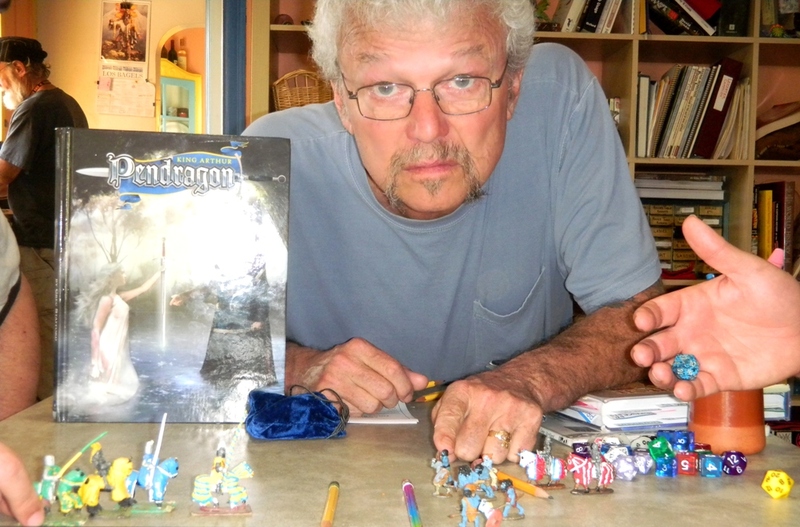 Juegos y Dados – We interviewed Sandy Petersen months ago. It’s a nice person. You are working with him a lot of years ago. Could you explain any fun story? Greg – We used to have a deck of cards for Trivia that was a special deck for wars, like who is this general or that general. Every day we would ask each other a question. He never missed a single correct answer. I missed quite a few. Greg – My game playing is sporadic. When I play an rpg it is Pendragon. We are also playing Sandy’s name game, Cthulhu Wars, these days. Juegos y Dados – Prince Valiant was a fantastic game also. Is there any chance that it will see print any kind of restyling? Greg – Yes. The rights to make a game from the comic has just been acquired by Nocturnal, the publisher of Pendragon. They will be making it into a starter rpg for kids. Greg – I don’t have such plans. I am retired now and dedicate my time to making Pendragon materials. 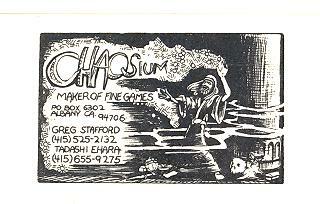 Juegos y Dados – Is there anything else you would like to tell fans about the rebooted Chaosium? Greg – I had planned to run it at first but after less than a week ended in a hospital. I have had heart trouble for quite some time, and I realized that running Chaosium was not the way to stay healthy and unstressed. So we have sold part of the company to the guys at Moon Design and they are doing a fantastic job of improving things and getting product out. I am very happy about that. Juegos y Dados – I hope you feel better. Thank you so much for your time. We are very happy for your collaboration in this interview with Juegos y Dados. Genial. ¡Me hubiera encantado hacerle una entrevista en mi blog! ¡Voy a compartirlo en Glorantha Hispana! Buenas Runeblogger, en primer lugar gracias por tu visita. Espero que te haya gustado la entrevista, siempre hay muchísimas preguntas para a hacer a una estrella como Greg Stafford. Muchas gracias por compartirlo. Esperamos seguir contando con tu visita. ¡Un saludo! Hey Juegos, nice interview. I saw that some of the pictures are by a friend and me! Hey there Fabian! At first, thanks a lot for your visit. I hope you like the interview. Regards.